Deftly combining the intuitive workflow of dedicated hardware with the precision and flexibility you'd expect from a software DJ system, the Pioneer Pro DJ XDJ-RX2 digital DJ system is the no-compromises, all-in-one rig you need. Prep your tracks in Pioneer's rekordbox software or mobile app and experience tight beat grid analysis, set up cues and loops, and more. You'll have more comprehensive visual feedback than ever with XDJ-RX2's 7" touchscreen display. What's more, the XDJ-RX2 expands on its predecessor with features like Beat Jump and Needle Search, plus 16 multicolored pads for amazing performance potential. The XDJ-RX platform has earned acclaim from DJs worldwide, and the second-gen XDJ-RX2 offers even more for performing DJs. Like the 7" touchscreen display derived from the CDJ-2000NXS2, giving you visual feedback of waveforms, detailed track information, and even a QWERTY keyboard when you need to search for tracks. Also inherited from the CDJ-2000NXS2 are the Needle Search, TRack Filter, and Short Cut features which can make managing your performances much easier. And now with a total of 16 multicolored performance pads (up from the previous eight), the XDJ-RX2 delivers more performance potential than ever. If you're familiar with Pioneer Pro digital DJ systems, then you're already good friends with rekordbox, and if you're new to this system, you're in for a treat. 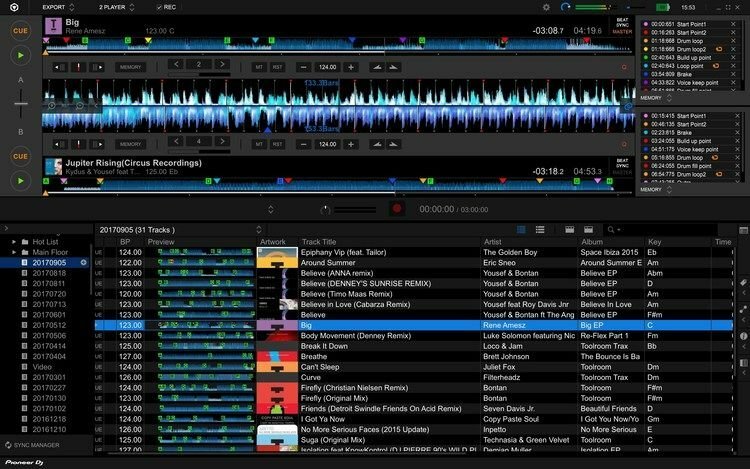 Pioneer's rekordbox software is a super-handy environment that lets you prep your tracks for DJ playback on your XDJ-RX2, letting you tweak beat grids so they're perfect, drop in cues, pre-set loops (including ones at the end so you don't run out of music), add beat countdowns, analyze keys, and all that good stuff. And you can do all of this from your computer or your mobile device. Once you've got your tunes prepped and loaded on your XDJ-RX2 digital DJ system, the 7" touchscreen display becomes the center of your world. This screen merges the convenience and reliability of self-contained hardware with the intuitive visual feedback of DJ software. It offers the kind of workflow Sweetwater DJs dream of. Parallel waveform readouts make beat matching precise while allowing you to keep an eye on track length, scan ahead for different parts, check key and BPM at a glance, and browse effortlessly. And you can use the Wave Zoom function to zoom in on the waveform at its current playback position. 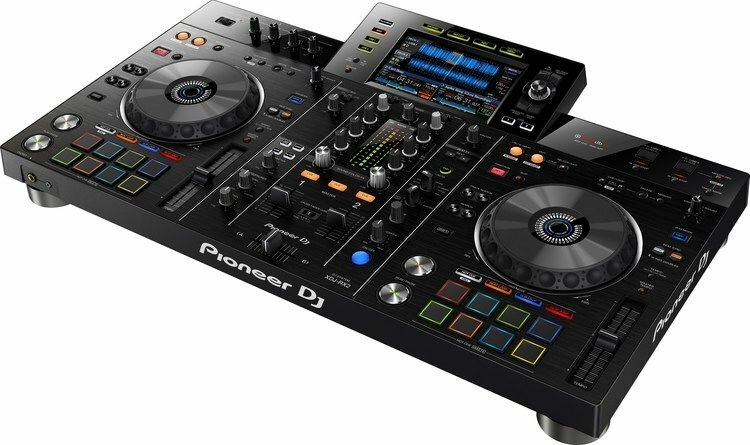 Pioneer Pro DJ's XDJ-RX2 system has a ton of cool capabilities to offer. For starters, it provides you with a hit list of Nexus series features. Quantize lets you trigger cues and loops precisely on beat, whereas Beat Sync locks your tracks together across multiple decks. Then there's Slip Mode, which lets the track advance in the background when you reverse, loop, or scratch, so you'll always dismount back in place. 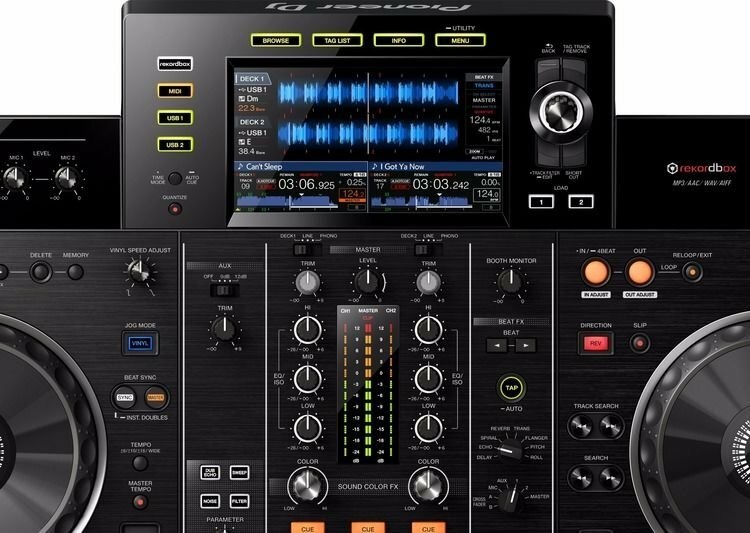 On top of that, the XDJ-RX2 includes a Loop Slice mode for cutting up loops and re-triggering them on the hot cue pads for on-the-fly remixing. And when you add in the amazing Sound Color FX and Beat FX, the creative possibilities are endless.